Is Hair Transplant Possible On Bald Head? - BookMess.com | Read, Share, Advertise BookMess.com |Read, Share, Advertise. Hair is one of the most important parts of both men and women. Everyone likes strong and healthy looking hair. No doubt, every person loses 50 to 100 strands every day which is very normal. This is also true that every person is going to experience the problem of hair loss once in their life. Sometimes we start neglecting the issue and it gets in excess. So, what is the best way to treat the problem? Hair transplant is one of the best options which helps in treating the problem. But what if the patient is suffering from complete baldness? For that, body hair transplant (BHT) is a very helpful procedure. It means patients who are suffering from complete baldness can get the treatment also. Many patients are suffering from complete baldness. This means the hair cannot be transplanted from the scalp area. Normally, the hair is taken from the back of the scalp and then they are transplanted where hair growth is very less. But for this, BHT is one of the most effective methods. The only difference is that the hair is taken from other body parts instead of the scalp to fill the bald area on the scalp. The rest of the process of hair transplantation is the same. This procedure is designed to restore the hair on the scalp from the chest, beard, armpits, and abdomen area. In general, the hair is taken from the scalp to treat the problem of hair fall and thinning of hair. But when there is unavailability of donor area then hair follicles are taken from other body parts for transplantation. The body hair transplantation is always used with the FUE technique. This is because the hair follicles will be taken one by one from where you have proper hair growth on the body parts. Additionally, the scarring is very minimal which means the recovery time will be faster. The common application of harvesting the hair with body hair transplantation are donor scar camouflage, crown/ vertex area, and replenishing a depleted donor area. In linear scar camouflage, the hair follicles are taken from the scalp and then they are transplanted into a scar to treat the problem. In case, if the patient needs more density in the donor area then BHT can also help to add the hair follicles on the donor area. If the crown area is short of donor's hair also BHT is very helpful to treat the problem. 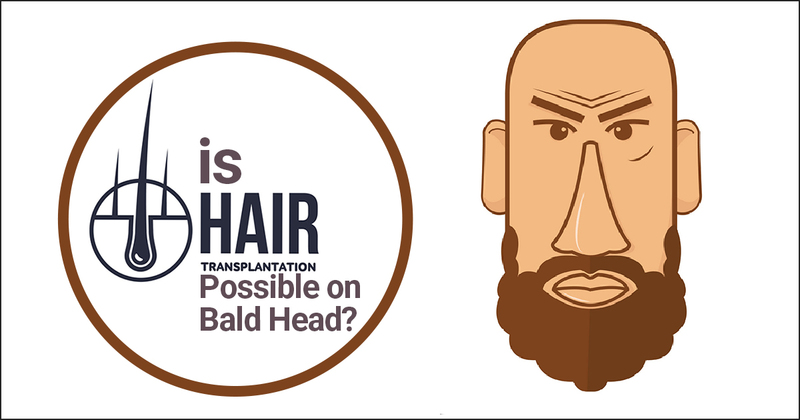 In normal cases, the graft requirement is around 2400 to 3000 to treat the problem of baldness. But if the patient is completely bald then graft requirement is more as they are to be filled on the scalp is more as compared to normal. To cover the head, 7000 to 8000 grafts are required. No doubt, the body hair, and scalp are are different in texture, size, and thickness. Some people might think the hair growth will not be the same and it will look artificial. The results of the surgery are natural looking as well as permanent. You should keep in mind one thing while choosing the surgeon you should select who is highly experienced and qualified. There will be a lot of difference if you get the treatment from an inexperienced doctor as they won’t be able to perform the surgery in a perfect manner.